The Danish submission to the 16th International Architecture Exhibition of La Biennale di Venezia presents a Danish approach to innovation through four projects selected by curator Natalie Mossin. The challenges posed by the built environment call for new practices, and the selected projects propose four highly differentiated solutions to sustainable development. As a framework for the narrative of experience-exchange and collaboration as prerequisites of genuine innovation, the Danish program presents BLOX – Denmark’s new Freespace for architecture, design and sustainable development. Every other year, architecture enthusiasts flock to Venice to see architects from all over the world present their challenging and inspiring ideas and projects at the legendary Biennale Architettura. 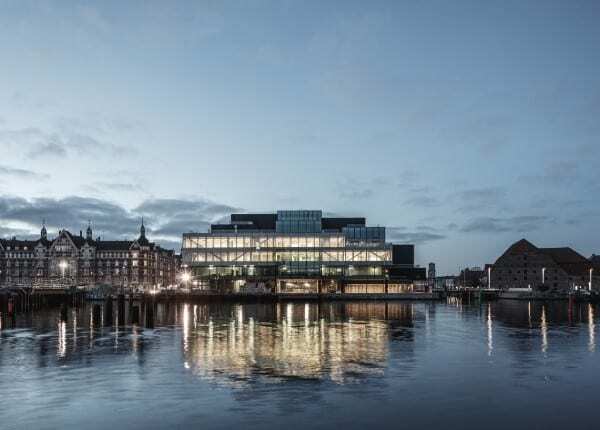 The Ministry of Culture Denmark has appointed the Danish Architecture Center as commissioner of the Danish submission, and the submission is funded by the Ministry itself, the Realdania non-profit society and the Danish Arts Foundation Committee for Architecture. “The four Danish projects showcase some of the specific strengths of the Danish architectural tradition; of interdisciplinary collaboration, and a very keen focus on sustainability. I greatly look forward to attending the Biennale Architettura 2018 and to discovering the synergies of the Danish exhibits at the opening of the exhibition in the Pavilion of Denmark,” said Minister for Culture Mette Bock. The parties behind the project appointed the architect Natalie Mossin as the curator of the Danish submission. “Natalie Mossin has chosen to tell a Danish story of pursuing a joint approach to holistic sustainable development through interdisciplinary alliances and across sectors and communities. This theme is particularly topical in Denmark this year where the non-profit Realdania society is generously handing over the keys to BLOX – a newbuild designed by OMA to house the new Danish Architecture Center, BLOXHUB and a wide variety of other creative entities,” said Kent Martinussen, CEO, Danish Architecture Center. “BLOX is much more than a building. BLOX is a new space on the Copenhagen harbour and a hub for activities, proposals and meetings between people, from visitors attending the Danish Architecture Center’s exhibitions and families with children at the playground to professionals working daily with sustainable urban solutions. The aim is for BLOX to promote awareness of, and work on, architecture and urban development as key ingredients in creating a sustainable society that enjoys enhanced quality of life,” says CEO of Realdania Jesper Nygård. The thematic framework was created by Yvonne Farrell and Shelley McNamara, Curators of the 16th International Architecture Exhibition. Under the caption “Freespace”, the two lead curators will be focusing on the primary focus of architecture: the space in itself and its potential for generosity. The exhibition in the Danish pavilion responds to the overarching theme by homing in on the scope of opportunities that arises when we – faced as we are by a large number of sustainability challenges – embark on the transition from bright ideas to the rigours of implementing new practices. This scope of opportunities can foster generosity – a Freespace – where architecture’s particular contribution can give built form to our needs and ideas. The title of the exhibition in the Danish pavilion sums up this approach in “Possible Spaces – Sustainable Development through Collaborative Innovations”. The title refers to the new opportunities that must be pursued in order to drive sustainable development, and the scope that arises when architects collaborating with professionals from other disciplines push the limits of what is possible to implement novel solutions. Natalie Mossin’s four selected projects are: the new Svinkløv Badehotel seaside hotel by Praksis Arkitekter; Virgin Hyperloop One by BIG; Material Based Method K2 by CITA; and Albertslund South by Vandkunsten. Mobility: Hyperloop One. How to change a world engaged in a new connectivity? How can infrastructure alter spatial relationships on a grand scale? The exhibition illustrates travel in tomorrow’s world through hyperloop, a visionary development project mounted in a collaboration between BIG and several international stakeholders, who are jointly rethinking mobility to demonstrate a radical new perception of space, landscape, time and distance. New tools: K2. What are the potentials when architectural resources become interdisciplinary? 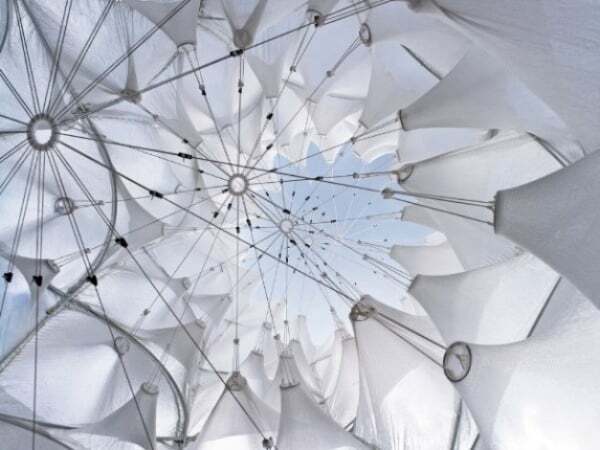 The researchers behind CITA and their international partners will be exhibiting an impressive installation – in terms of both scale and execution – demonstrating the potentials of developing new digital interdisciplinary design and construction methods. Cultural identity: Svinkløv Badehotel. How can architecture recreate a sense of identity and ownership? How do we use memory in architecture? 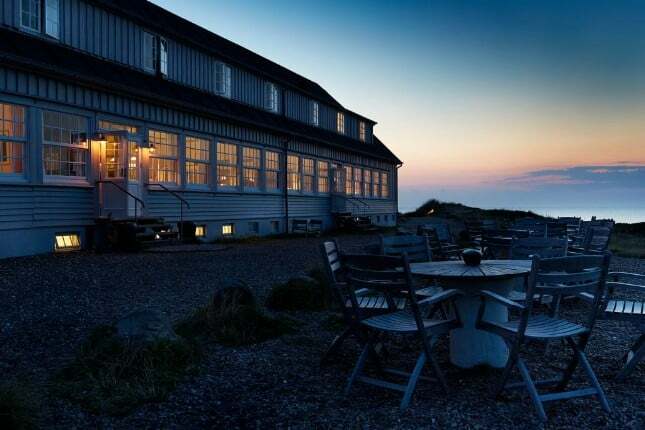 In Denmark, everyone knows the story of Svinkløv Badehotel, the historic all-wood seaside hotel that was lost to a fire in 2016. The architectural firm of Praksis Arkitekter is now spearheading the rebuilding of the hotel in close consultation with Realdania, hotel visitors and contractors. In the Danish pavilion, the public will be invited to step inside the architectural development process behind the new hotel. Sustainable transformation: Albertslund South. How can we convert existing housing stock into contemporary, sustainable homes? The home of the future has already been built. In Denmark, as elsewhere in Europe, existing suburbs are characterised by the large-scale suburban planning of the 1960s and 1970s, but the residential estates lack a human scale and are unsuited to today’s family types. With the Albertslund South renovation project Vandkunsten Architects demonstrates how architects in collaboration with housing societies, contractors, a local authority and residents can redevelop existing housing stock to modernise it and enhance its environmental performance. A common feature of the four projects is that they all represent genuinely local solutions – while demonstrating their potential in relation to the global development agendas they address. Follow Danish Architecture Center’s Twitter account @DACdotDK from today and in the coming weeks, where we will share little sneak peeks of what to expect from the exhibition in the Danish Pavilion. You are very welcome to to share or post the videos on your SoMe profiles and websites. The International Architecture Exhibition is the largest architecture event in the world. More than 60 nations participate with exhibitions in the historic pavilions in the Giardini district, at the Arsenale and all over the city. The Danish Architecture Center has been appointed by the Ministry of Culture Denmark as commissioner of the official Danish submission at the 16th International Architecture Exhibition of La Biennale di Venezia.The project is sponsored by the Ministry of Culture Denmark, the Realdania society and the Danish Arts Foundation Committee for Architecture Grants and Project Funding.